HUGE kitchen, family and dining room - nearly 700 square feet of WOW!!! 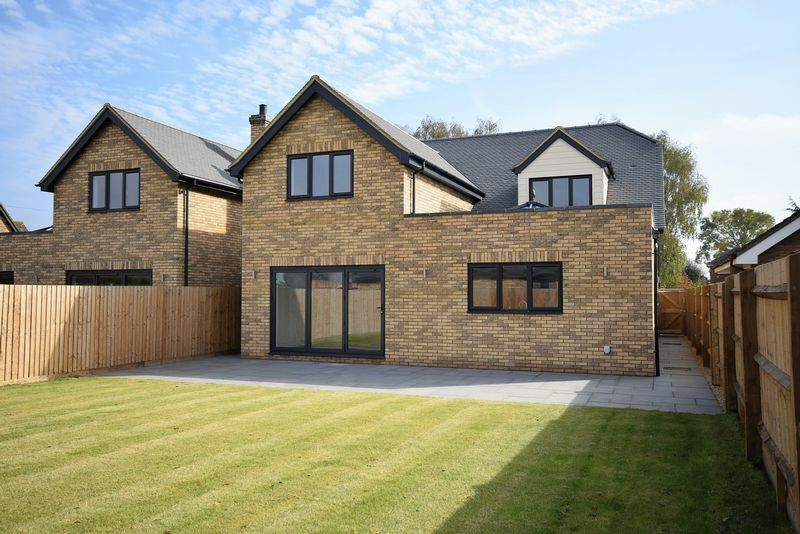 Westwood House is one of a pair of executive homes newly built by Lesley Page Ltd. 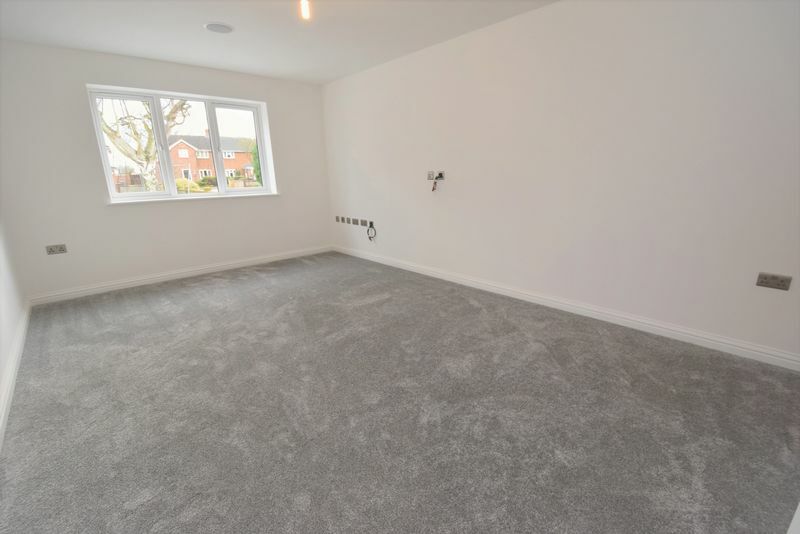 They have been designed to create a spacious home focusing on the concept of sociable family and entertainment space with an excellent balance of living accommodation, sizable bedrooms and bathrooms. 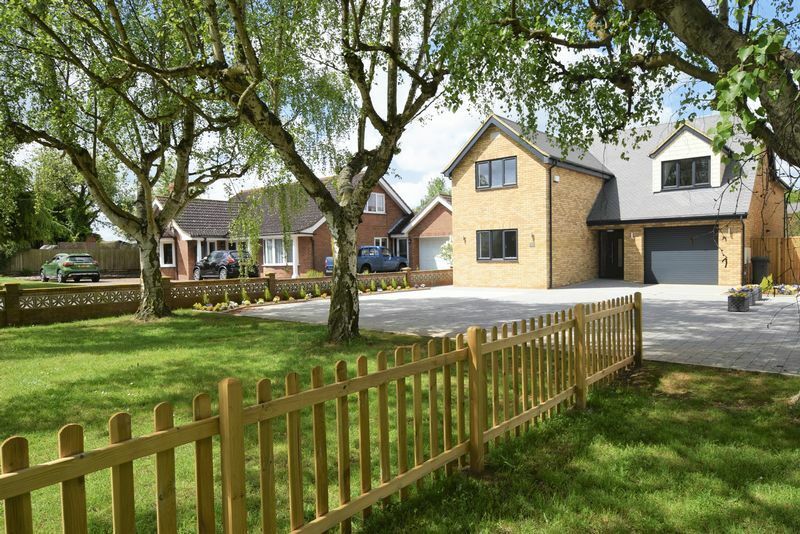 The build is of a excellent quality with attention to detail throughout that will appeal to the most discerning of buyers looking for something just a bit special in a sought after village. 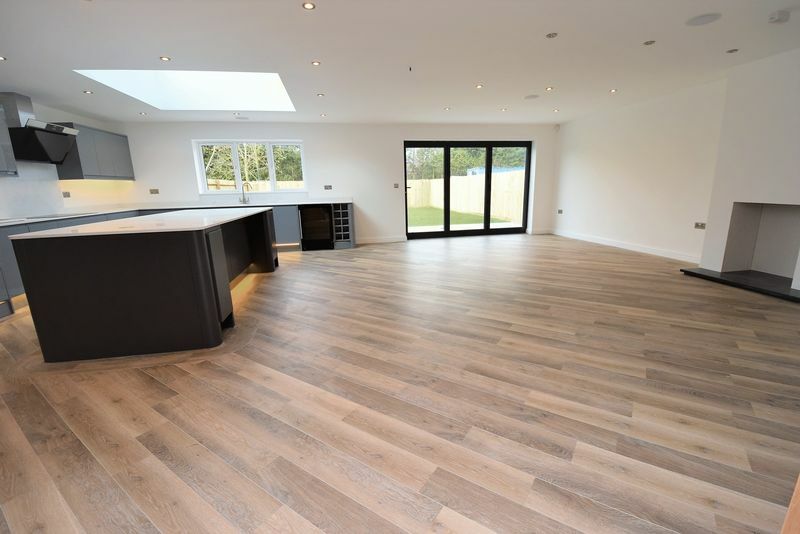 We love the feeling of space and in particular the HUGE kitchen, entertaining, dining and living room. 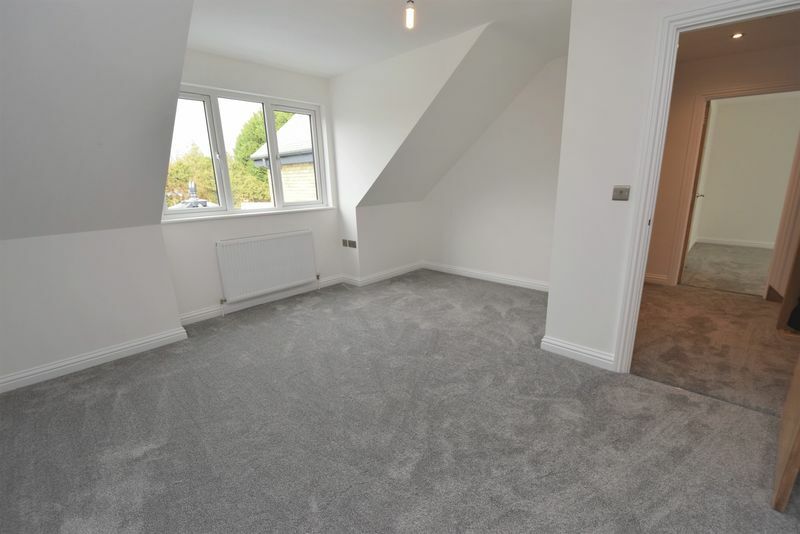 It is very well fitted and has a large glazed lantern roof over the kitchen area, a chimney breast to the living area and bi-fold doors leading out to the rear garden. 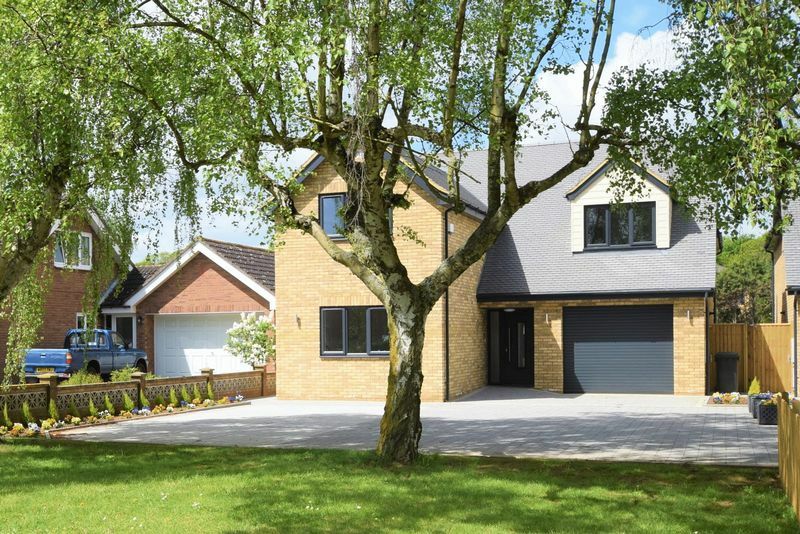 Please give the team at Local Agent Network a call to run through the details and to book an appointment to take a look around these very special homes. Our number is 01525 876600. Meppershall is a highly regarded village and is situated in mid-Bedfordshire, nine miles from Luton and four miles from Hitchin. It has a Village/Store/Post Office, well known local Bakery, Infant/Primary School and regular Bus Routes to Luton and Hitchin. Shefford is close by and has a larger selection of shops and further schooling, including Samuel Whitbread Upper School. 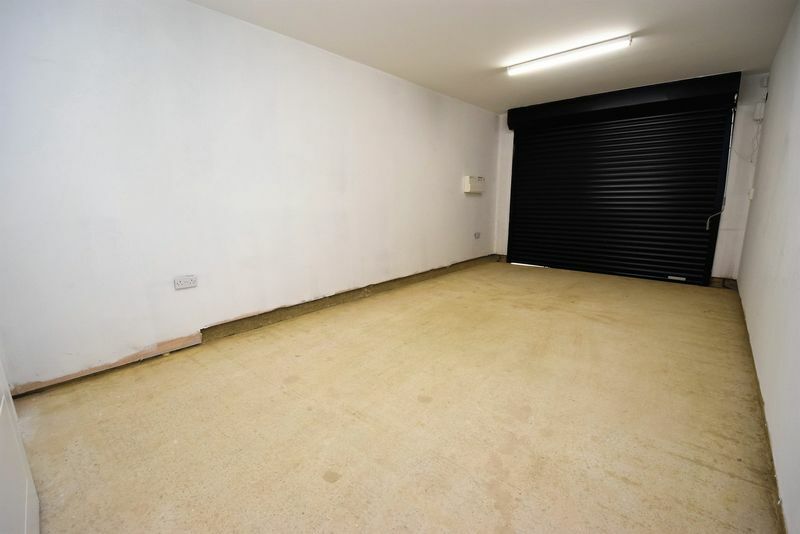 The M1 and A1 are within easy access together with Arlesey Station to London and the North. Heating: Mains gas which is served with a Worcester Bosch boiler and a Gledhill pressured hot water system. Glazing: UPVC double glazed windows in a 'Graphite' colour to the external and white to the internal. Composite doors to the main entrance and utility room. 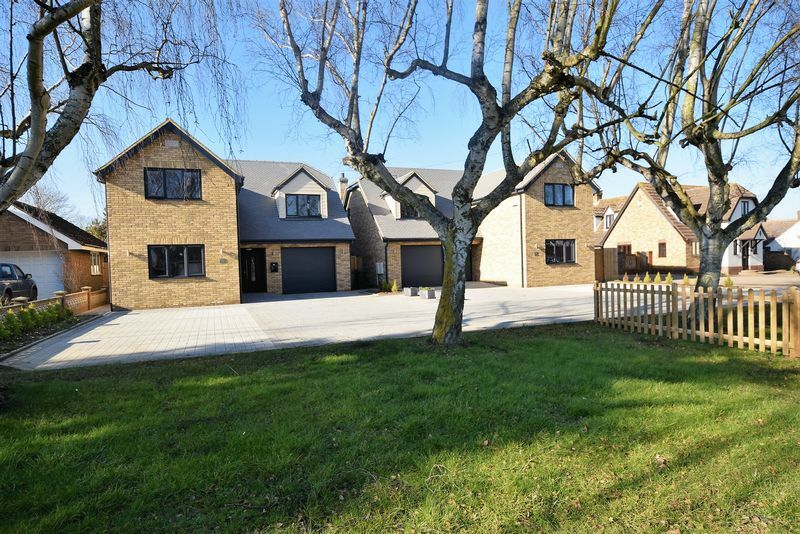 Security: The property is alarmed and has 'smart' door bell camera enabling connection to your mobile phone. 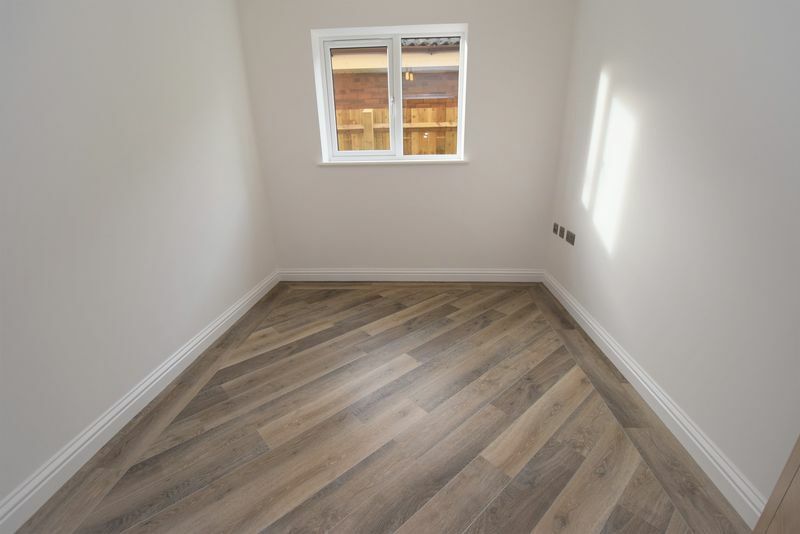 Flooring: On the ground floor there is Karndean flooring in a lime washed oak fitted to the reception hall, kitchen & family room, office and cloakroom. 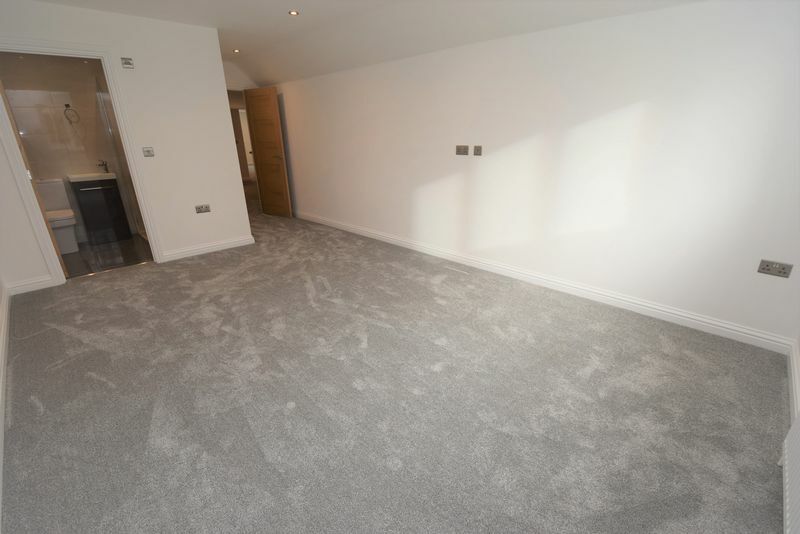 Gray carpets run to the staircase, landing and all the bedrooms. Porcelain tiles to both the ensuites and the family bathroom. Media: There are inbuilt ceiling speakers by Cambridge Sounds fitted to the living room, kitchen & family room and the master bedroom. Additionally in the kitchen is a WiFi booster. Reception Hall - 19'7" x 9'7" From here, with the double doors open, you can look straight through to the rear garden giving a wonderful feeling of space. 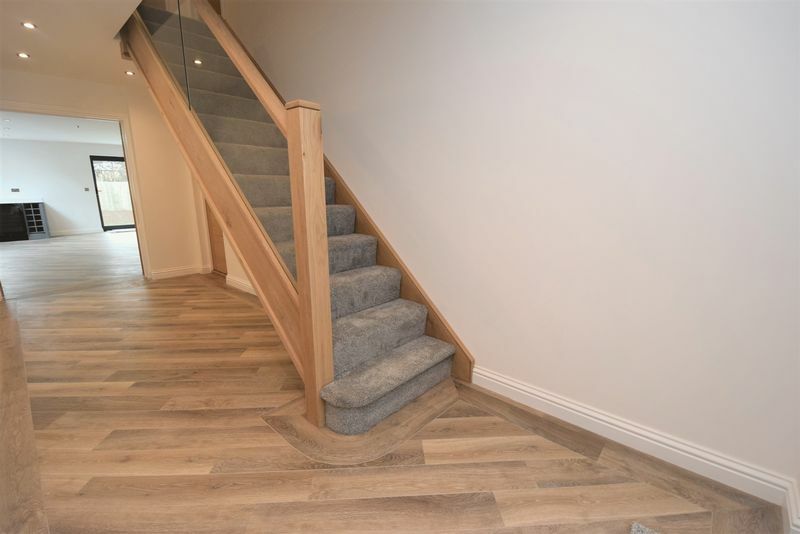 The staircase has a handcrafted oak wooden newel and rail with a glazed ballustrade. 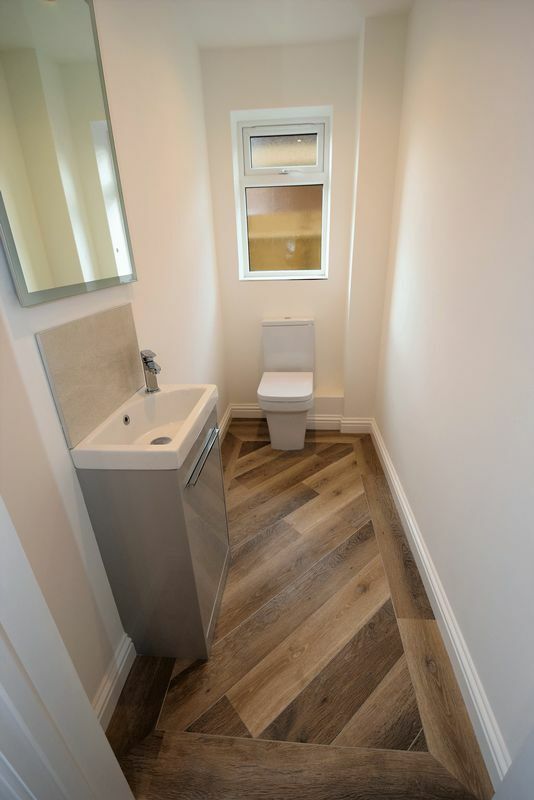 Cloakroom: Fitted with a wash basin with cupboard under and a WC. Siting Room 17'6" x 11'3" Facing to the front of the house this a perfect place to relax. Study 10'1" x 8'4" Ideal for a work from home enviroment. 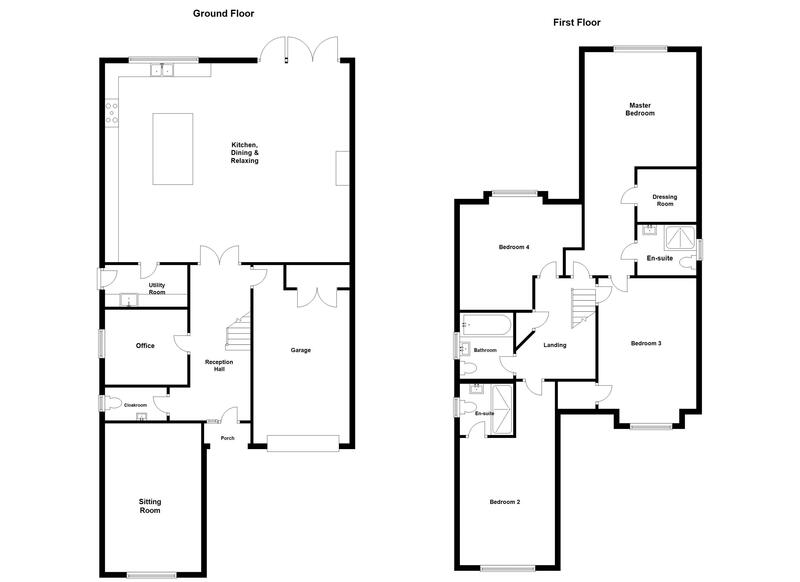 Kitchen, Dining & Family Room 29'0" x 23'6" - This encapsulates the phrase "The Wow Factor". Designed to give a huge area to cook, dine, entertain and relax and it has created a very stylish and sociable space. 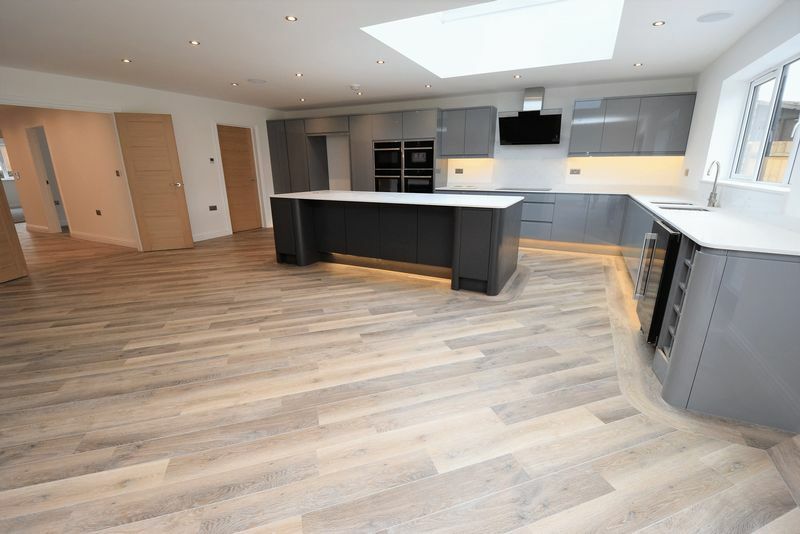 The kitchen has been carefully planned to give plenty of storage within the extensive range of floor and wall handleless cabinets. They are finished in a quartz work top that also extends to the large island. 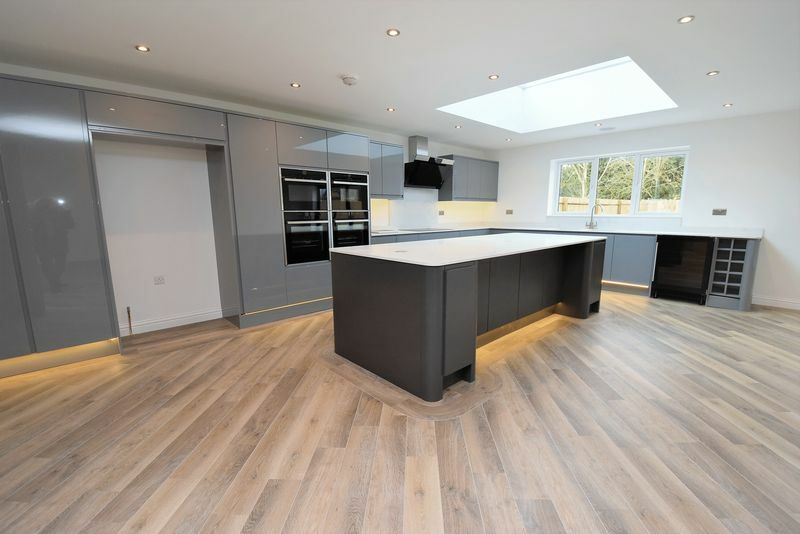 There is a bank of Neff ovens including 2 full size ovens with 'hide and slide' doors, a microwave and separate steam oven giving a symetrical finish. The 5 burner inducion hob has an angled extraction hood over. 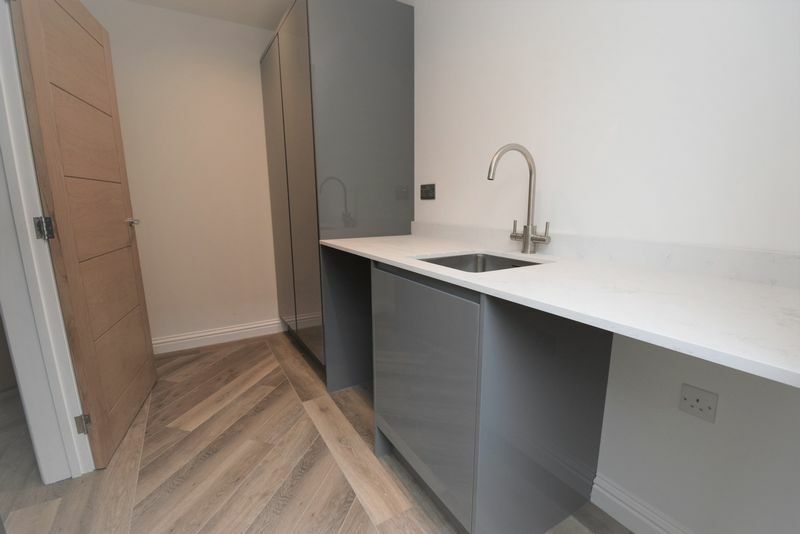 Further appliances include an integrated dishwasher, wine cooler with a 52 bottle capacity and space for an 'American' styled fridge/freezer. 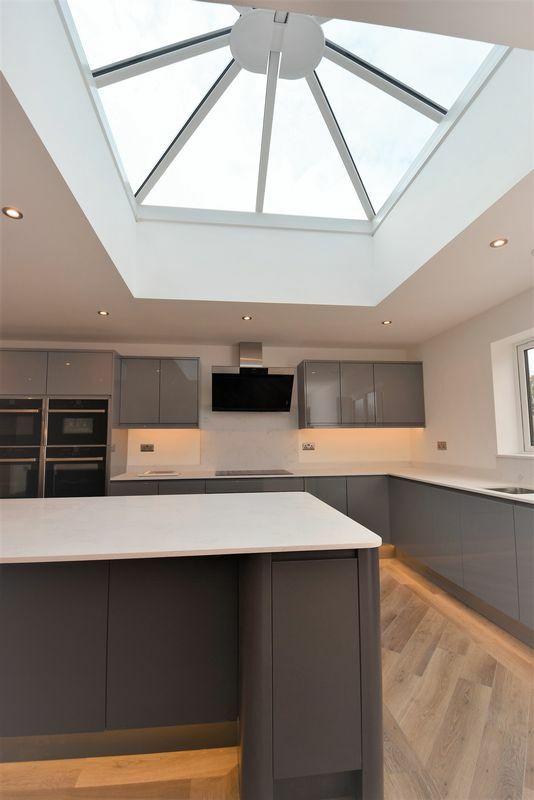 We love the large glass lantern roof over the kitchen area as it allows a blue sky aspect (weather permitting!) to come into the room. There is a chimney breast that could be fitted with a woodburner if required and this is subject to negotiation. Utility Room - Cabinetry and work tops to match the kitchen. 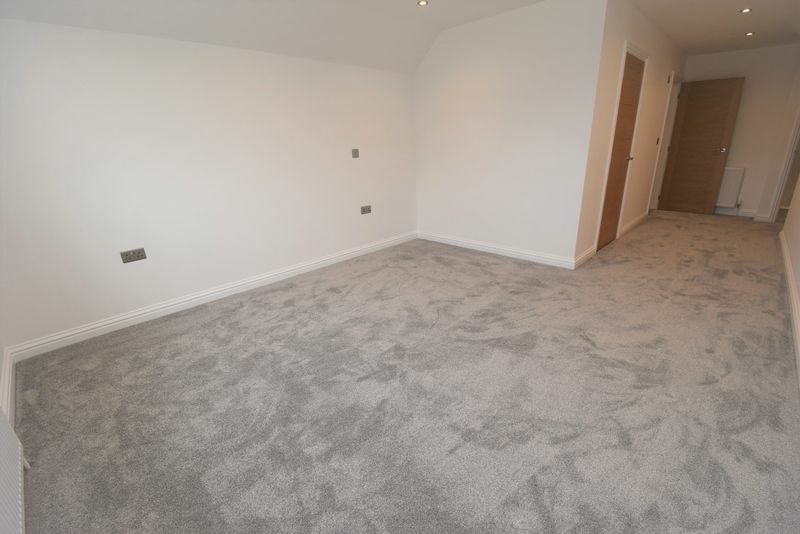 Space for a washing machine and tumble drier. Door leading out to the side access path. Garage 18'6" x 11'0". This has been plastered to the walls and ceiling and there is power and light connected. Electronic up and over door, double width cupboard which houses the boiler and hot water cylinder. First Floor Landing 12'6" x 10'5". Linen cupboard. 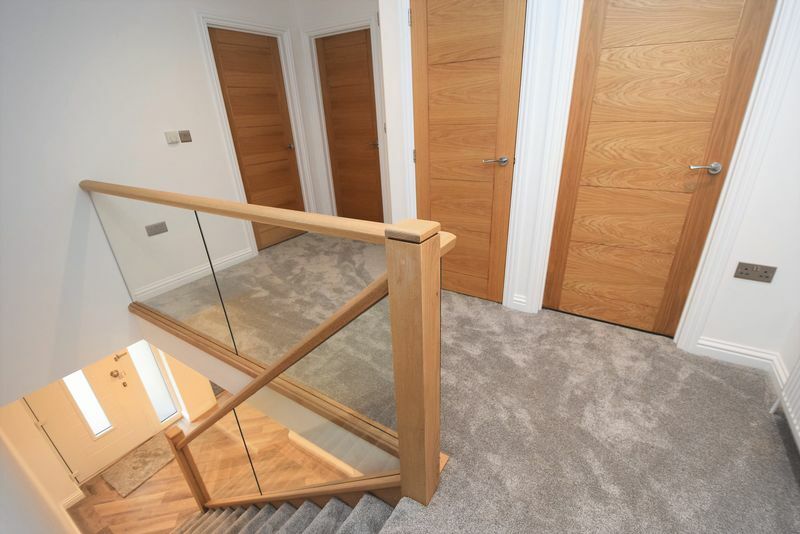 A large loft access having a ladder leading up to the loft which has lighting. Master Bedroom 26'0" max x 12'0" max. 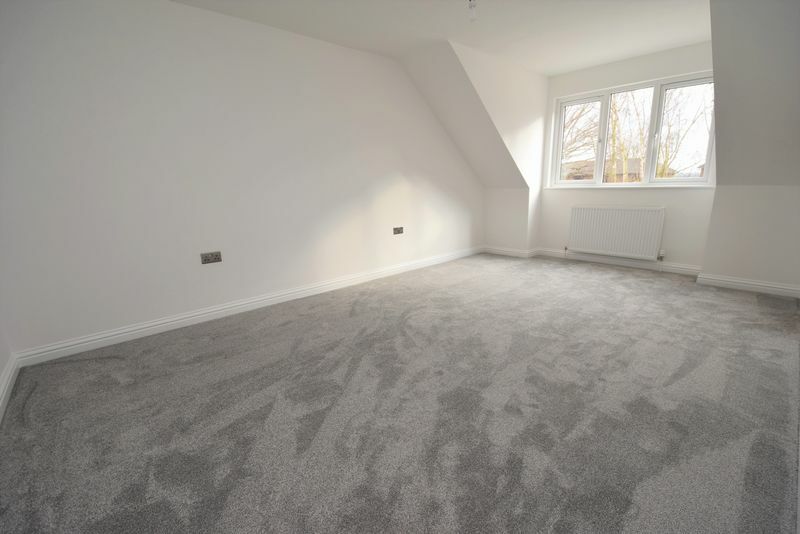 A lovely sized main bedroom facing to the rear and has a walk in DRESSING ROOM - this can be fitted out with rails etc subject to requirements and will be subject to negotiation. 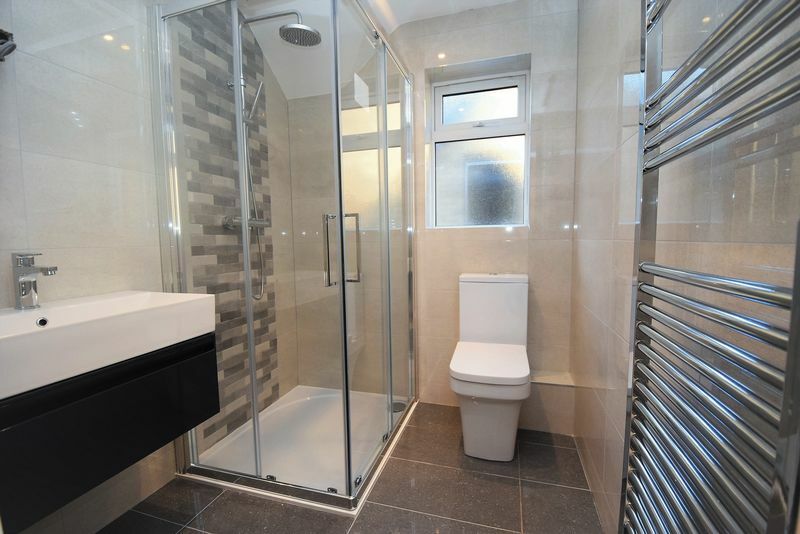 Ensuite Shower Room - Fitted with a glazed enclosed shower with a rain drench head, contemporary wash basin with a drawer under and WC. Ceramic wall tiles and a chrome towel rail. Bedroom Two 21'10" max x 11'4" - Facing to the front of the house. 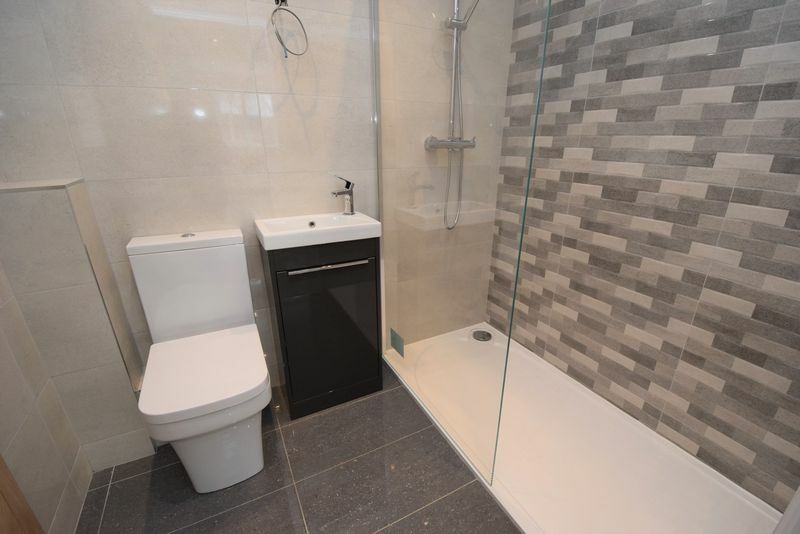 Ensuite Shower Room - Fitted with a wide, walk in shower enclosure having a rain drench head, wash basin with cupboard under, WC, chrome heated towel rail and ceramic tiles. Bedroom Three 17'8" x 11'1" - A spacious room with a storage room leading off (restricted head height). Bedroom Four 14'0" x 13'4" - Looking out to the rear garden. 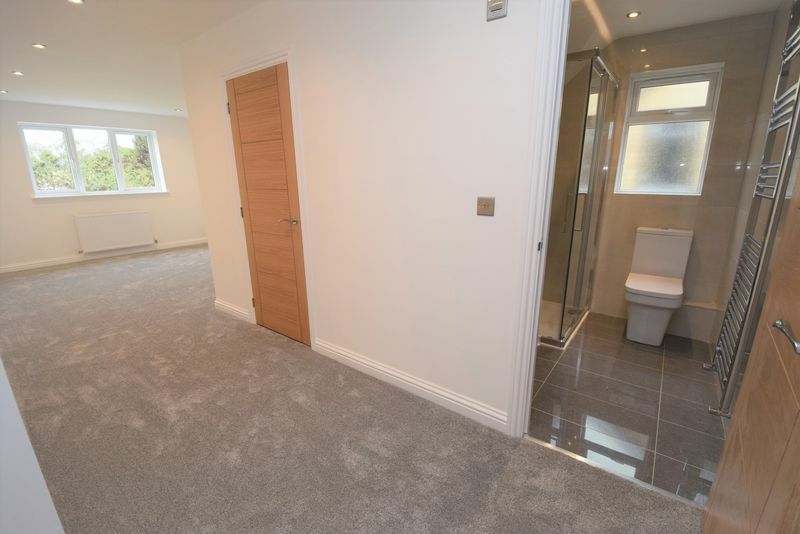 Family Bathroom - With a panelled bath, wash basin with double cupboard under, wash basin, WC, ceramic tiling and a chrome heated towel rail. 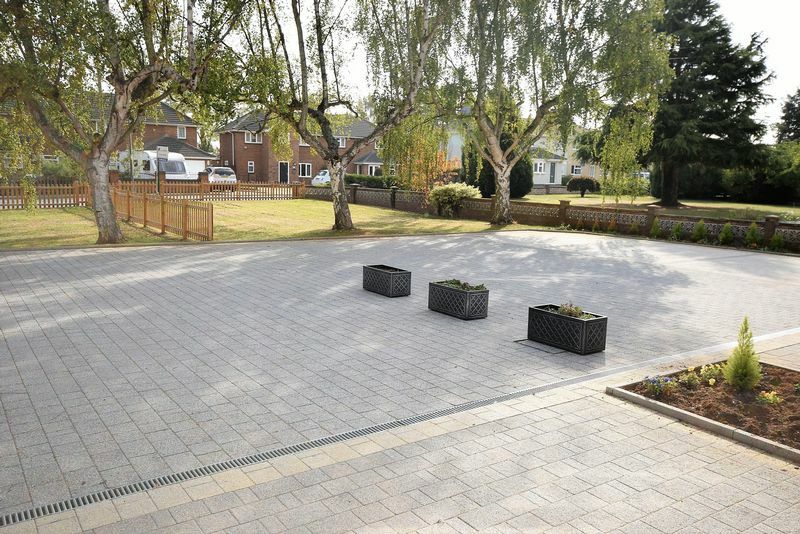 The property enjoys a deep frontage with a lawn, mature silver birch trees and a generous driveway and parking area. 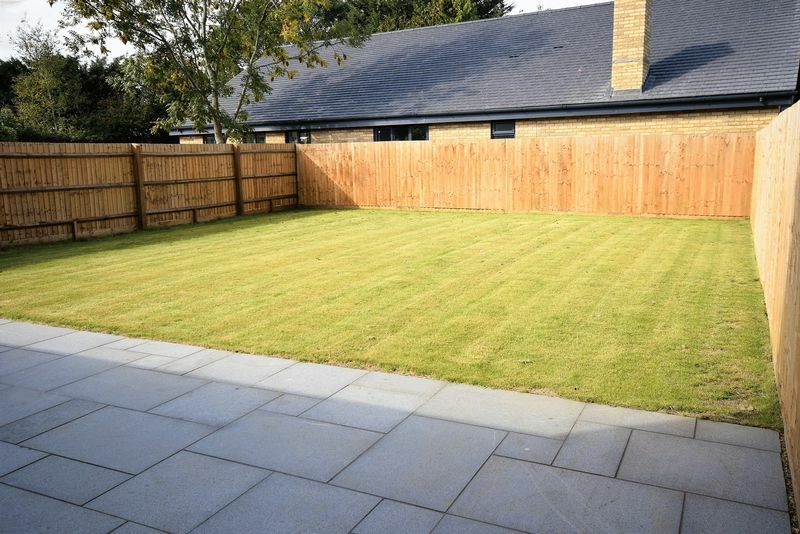 Gated access to either side leads into the rear garden that has a large paved patio, newly turfed lawn and the garden is enclosed with panel fencing.